Life Drawing sessions are open to those who wish to practice drawing the human figure in a group setting. There will be no instruction, only the opportunity to draw a live model in a variety of poses in the company of other artists. Easels and tables are provided, but bring your choice of drawing or painting materials and the Gallery will provide the model. Poses will be timed, beginning with a few short warms-up, then transitioning to longer poses. You can register and pay for all six sessions prior to the start date or pay on a drop-in basis. Would you like to create and trade miniature works of art? 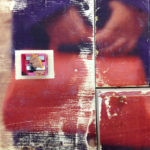 Artist Trading Cards are 2.5 x 3.5 inches and can be painted, collaged, mixed media, photographs….no rules, but original work. This is a fun, social and creative group that meets several times a year to swap trading cards with other people. Create some cards, sign the back and bring them to the Gallery. 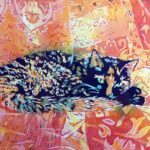 This class is for beginners interested in exploring poured watercolours, which is the art of layering transparent watercolours, similar to silkscreen printing. 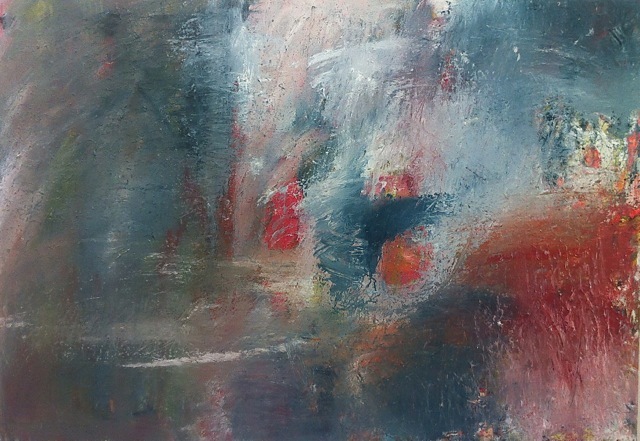 We will transfer or draw an image onto stretched watercolour paper, then create a painting by layering paint, preserving the different values of a composition with drawing gum between each pour. Participants will become familiar with various drawing tools: pencils, graphite sticks, water-soluble pencils and charcoal, as well as different papers. We will begin in a very experimental way, concerned only with mark making and becoming comfortable with our supplies – spiral drawing, contour drawing, cross-hatching etc. Everyday objects will be our inspiration. Weather permitting we may take our drawing/sketching out-of-doors. Each class will find us studying various elements of design/composition: line, shape, form, proportion, positive and negative space, perspective. Compositional techniques will also be studied. If you don’t have your own, please bring $15 for supplies (to be paid to the instructor). Discover the wonders of paper clay. Build your own sculpture / decorative piece using slab and coil techniques; then imprint textures, add embellishments and explore your own style of mark making. After being kiln-fired, paint your sculpture with acrylics and stains to bring out the textures and highlights. 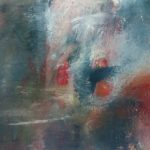 This class is for experienced artists interested in exploring poured watercolours, which is the art of layering transparent watercolours, similar to silkscreen printing. 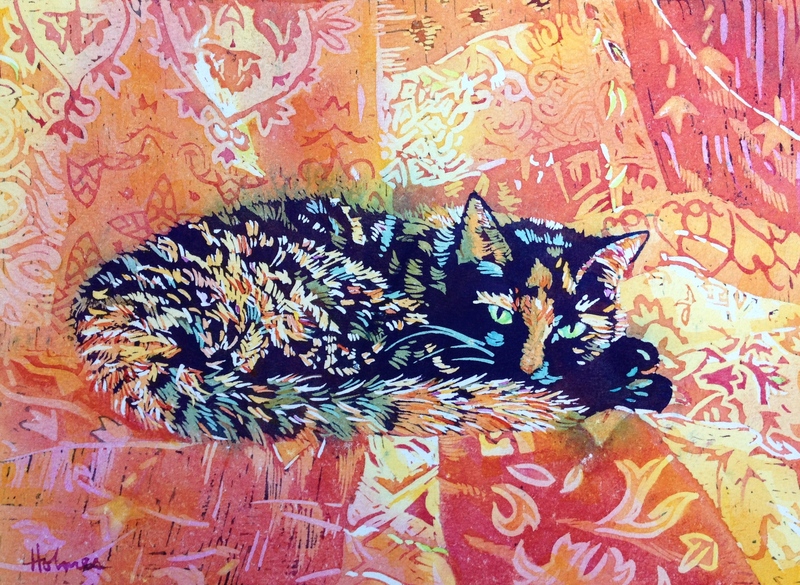 This workshop will teach you the process of successful silk screen printing; from building your own frame to printing your image. Participants can print on t-shirts, fabric, paper, wood, etc. This is an introductory course and the focus will not be on artistic skill, but rather on process. October 18, 25, November 1 + 8. 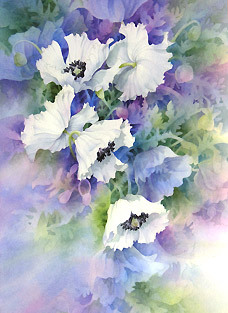 Explore the wonderful medium of watercolours with experienced instructor and talented artist, Caren Heine. 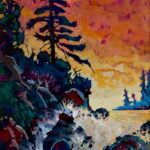 With 40 years of watercolour painting and teaching experience, Caren will guide the class through the intricacies of paint mixing and colour, using various painting surfaces and a variety of brushes to achieve washes, drawing and layering. 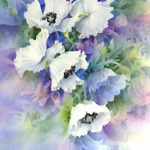 This class is suited for people who have not tried watercolours before, or those who would like to renew their skills. Life Drawing sessions are open to those who wish to practice drawing the human figure in a group setting. Everyone is welcome and there will be no instruction, only the opportunity to draw a live model in a variety of poses in the company of other artists. Easels and tables are provided, but bring your choice of drawing or painting materials and the Gallery will provide the model. Poses will be timed, beginning with a few short warms-up, then transitioning to longer poses. You can register and pay for all six sessions prior to the start date or pay on a drop-in basis. Our Storied Paths takes place over three Saturday sessions at two-week intervals, allowing time for preparation before each session. There will be time in class for writing exercises, discussion, and for other creative process aimed at waking up our senses, mining memory, speaking our truth; and finding ultimate meaning in unearthing the bones of our unique stories. Participants will find the keys to remembrance through discussion, memory and through the universality of the human experience. Our stories are not only mental narratives that engage our imagination or a string of interesting pictures ideas and dialogue. Story has the power to go right through us reaching into every cell, changing our chemistry and profoundly affecting our well-being. There are many paths to illumination, healing and transformation. Storytelling is one. Annette Yourk is a storyteller, freelance writer and instructor with TheScribes.ca. Her work in fiction, poetry, and creative nonfiction has appeared in literary journals, anthologies, newspapers, magazines and online. 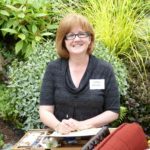 A graduate of Simon Fraser University’s Writing & Publishing Program, and of the Provincial Instructor’s Diploma Program in Adult Education, she has worked in all genres and with a wide range of learners; designing teaching, and editing. Discover the wonders of paper clay. Build your own sculpture / decorative pieces using slab and coil techniques, imprint textures, add embellishments and explore your own style of mark making. After kiln fired to bisque, paint these with acrylics and stains to bring out the textures and highlights of your 3D objects. includes $10.00 for materials and $10.00 firing fee. November 15, 22, 29 + December 6. 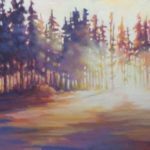 For those who have some watercolour experience, Heine will help move you forward with her engaging and inspiring teaching style and expertise. 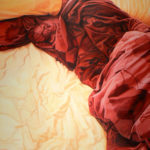 She will expand on the intricacies of paint and colour mixing, techniques for handling various painting surfaces, drawing and laying washes as well as brushwork techniques. 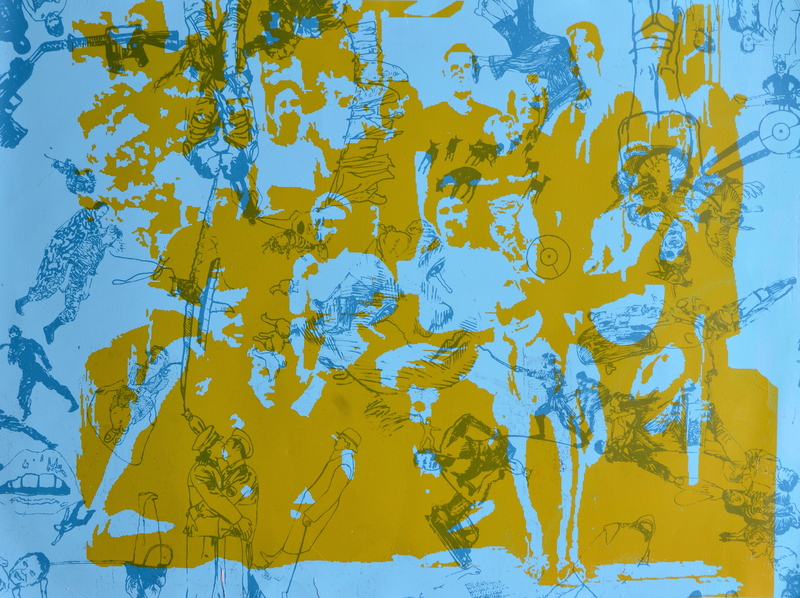 The Gallery welcomes youth between 15 + 24 to a free art-making workshop July 25 (Mon.) – July 27 (Wed.) from 12 – 4 pm with exhibiting artists Amy Malbeuf + Jordan Bennett. Interested young people are asked to call (250-287-2261) or email (contact@crartgallery.ca) to sign up. No art experience is necessary, lunches will be provided and there is no cost to participate. This special opportunity, generously funded by the British Columbia Arts Council and the Campbell River Community Foundation, allows youth to work with professional artists, learn about their art practice and create their own artwork.Malbeuf and Bennett’s exhibition, Aja’sit, opens at the Campbell River Art Gallery on Thursday, July 28. The public is welcome to attend an opening reception at 6:30 pm to meet the artists and enjoy refreshments. Participants will become familiar with various drawing tools; pencils, graphite sticks, water-soluble pencils and charcoal to name but a few and different papers. We will begin in a very experimental way, concerned only with mark making and becoming comfortable with our supplies – spiral drawing, contour drawing, cross-hatching etc. Everyday objects will be our inspiration. Weather permitting we may take our drawing/sketching out-of-doors. Each class will find us studying various elements of design/composition; Line, shape, form, proportion, positive and negative space, perspective. Compositional techniques will also be studied; i.e. rule of thirds, viewpoint etc. Students will need a sketchbook* and the drawing tools mentioned below. In this beginner class, you will learn the basics of needle felting. Using a felting needle and wool roving, you will create a set of coasters using felt as your canvas and coloured wools as your “paint”. This one day tutorial is perfect for the beginner or those who would like a refresher on this fun technique. This class is suited for people who have not tried watercolours before, or would like to refine their skills. Explore the wonderful medium of watercolours with experienced instructor and talented artist, Caren Heine. 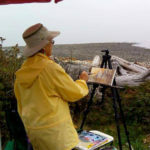 With 40 years of watercolour painting and teaching experience, Caren will guide the class through the intricacies of paint mixing and colour, using various painting surfaces and a variety of brushes to achieve washes, drawing and layering. 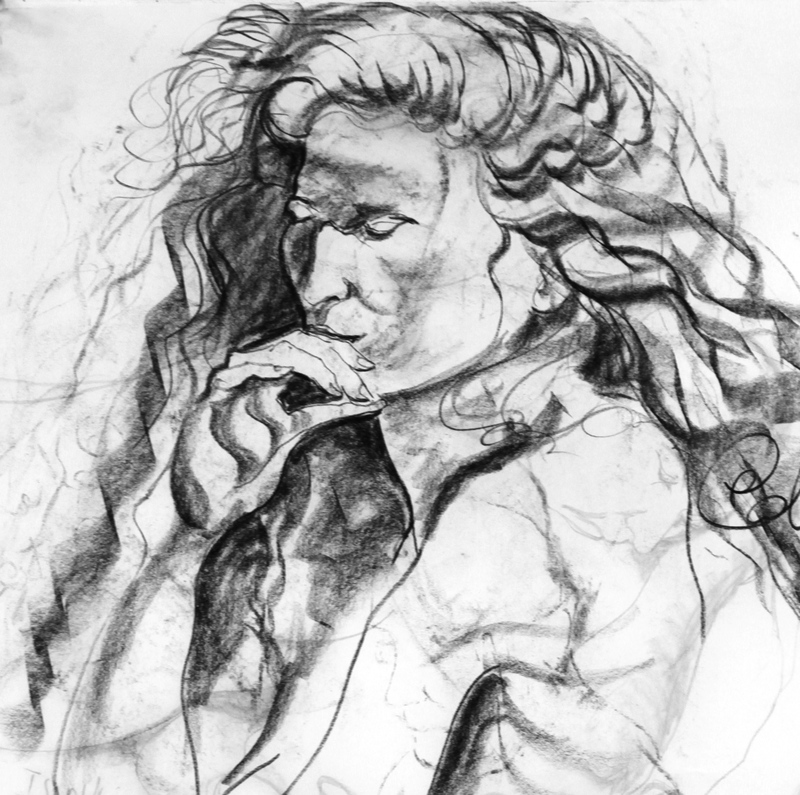 Life Drawing sessions are open to those who wish to practice drawing the human figure in a group setting. There will be no instruction, only the opportunity to draw a live model in a variety of poses in the company of other artists. Easels and tables are provided, but bring your choice of drawing or painting materials and the Gallery will provide the model. Poses will be timed, beginning with a few short warms-up, then transitioning to longer poses. Pre-pay for 6 sessions prior to the start date or pay on a drop-in basis. Create a painting that is simply about painting. 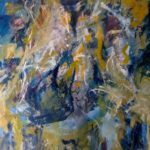 This class will explore creative mark making, abstracting forms, colour theory and paint applications through a series of exercises that encourage painting intuitively, letting go of outcome and being open to change and surprise. We will be using methods of painting abstractly that will induce spontaneity like painting to music, dripping, splattering, flinging and smearing to free the mind up to make non-objective art, but also to inspire you to loosen up, have fun and paint more. This course is designed to be a casual and informative time for youth who aspire to become better photographers. Participants will easily master basic techniques through hands-on learning in a fun environment. Taken a step at a time, we will walk through the aspects of photography and getting the best possible image, regardless of what type of camera is used. 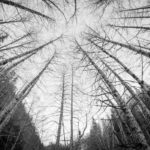 By focusing on a single aspect of photography at a time, participants will learn what can be done with a camera to create some fun and inspiring images. The workshop will alternate between classroom time and outside photo sessions. Age range 12 -18 yrs. This class is open to beginners and advanced artists interested in exploring this medium. Poured watercolours is the art of layering transparent watercolours, similar to silkscreen printing (for this class we will be using Dr. Ph. Martins Hydrus concentrated liquid watercolour). We transfer/draw our image onto stretched watercolour paper, that has also been stapled to a watercolour board. 3 – 4 layers of paint are needed with drying time between each layer. The painting is created by preserving the different values of a composition using Pébéo drawing gum between each pour. Preserving lightest values first, middle, middle to dark and finally darkest values. The first class will focus on stretching watercolour paper and becoming familiar with liquid watercolours and Pébéo drawing gum. 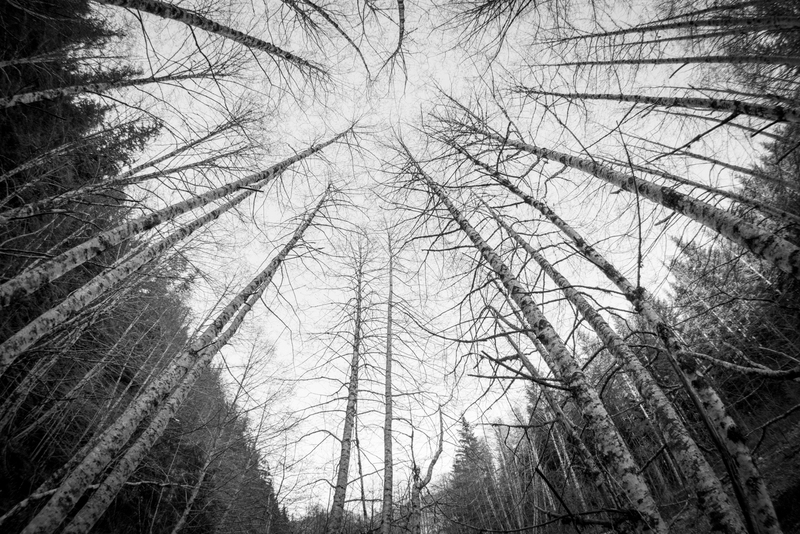 We will review our chosen images with strong light, middle to dark values (I will assist students with choosing their reference photo via email prior to our first class). Watercolour stretching boards will be provided on loan for the duration of the class. Second, third and fourth class will find us applying drawing gum and pouring our paint using a limited palette of three primary colours. We will use our fifth class to add final details to our paintings and share our work with our classmates. Time permitting we will look at keeping an illustrated journal and other fun illustration techniques. Would you like to create and trade miniature works of art? 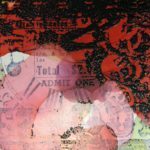 Artist Trading Cards are 2.5 x 3.5 inches and can be painted, collaged, mixed media, photographs….no rules, but original work. This is a fun, social and creative group that meets several times a year to swap trading cards with other people. Create some cards, sign the back and bring them to the Gallery. Admission by donation. A continued study using acrylics, this course is intended for those students who have taken Jill’s previous classes or have had some intermediate studies in mixing colors with a basic palette. Participants will work with a very limited palette, with a focus on mixing greens for landscape, as well as exploring texture. Brushes for particular techniques and continued learning on atmospheric perspective will also be covered. Demos and handouts round out the course. This course is designed to be casual, yet informative so that aspiring photographers can easily master basic techniques through hands-on learning. Taken a step at a time, we will walk through the aspects of photography, getting the best possible image, regardless of what type of camera is used. By focusing on a single aspect of photography at a time, participants will learn what can be done with a camera and how to use each function to its best capability. The class will alternate between classroom time and outside photo sessions. Learn to create a “poured watercolour” painting, starting with stretching watercolour paper and becoming familiar with liquid watercolours, artists-quality tube paints and drawing gum. Participants will review their chosen images (with strong light, middle to dark values), apply drawing gum and paint, using a limited palette of primary colours. To finish the artwork, the class will add the final details to their paintings. Watercolour stretching boards will be provided for the duration of the class. Watercolour paper will be available at a small fee. 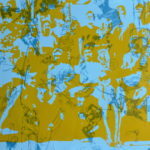 The workshop will teach you the process of successful Silk Screen printing. From building your own frame to printing your image. Students can print on t-shirts, fabric, paper, wood, etc. This is an introductory course and artistic skill is not the focus, rather, the process. 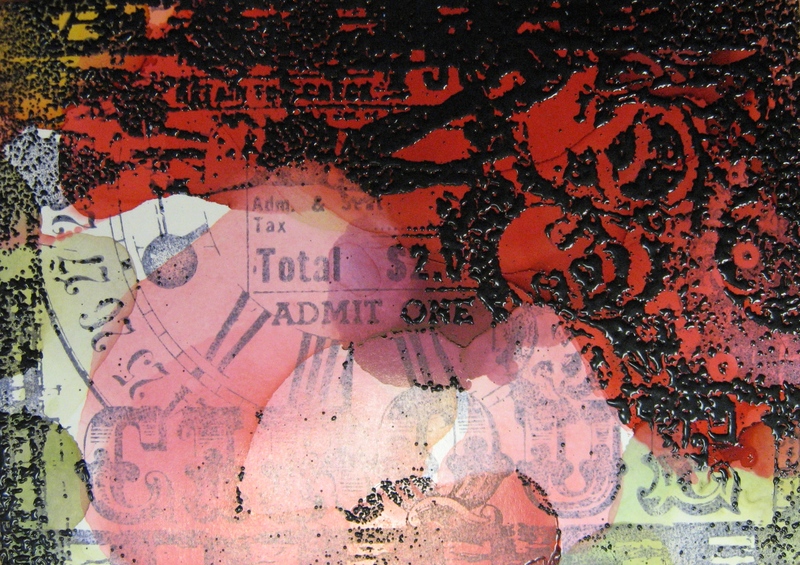 Phototransfer is an easy and fun process that can yield rewarding results for the beginner. It’s also an excellent platform for storytelling. 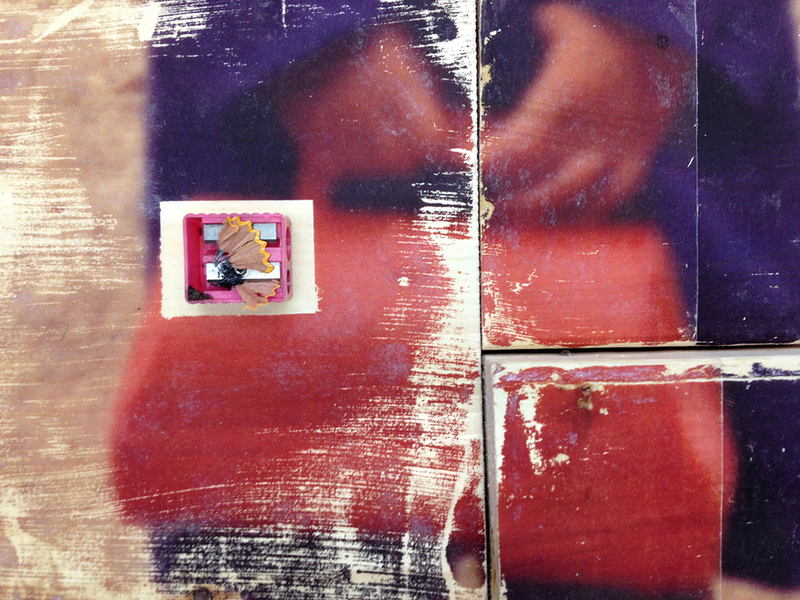 Using their own printed photographs and text, participants learned a basic photo transfer technique for applying images to a wood surface and explored simple strategies for applying text to their pieces. This continuing series in painting takes us one step closer to intermediate. The class will give you more confidence in transposing an image to canvas and, most importantly, allowing you to make your own choices. You will have a quick review of the basics, and then quickly move into working entirely from your own photos. This is exciting for the student who wants to use paint as a form of expression. 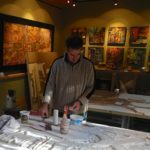 Students will work in tandem with painting materials to explore their own artistic style focusing on expressive gestures, rather than representation of objects, to create a unique and dynamic abstract painting. While considering elements of composition, colour, line, form and gesture, this class is mainly about exploration. Results are unpredictable but learning will happen over analysis, contemplation and discussion when your painting is finished. CREATE YOUR VERY OWN SHORT AUTOBIOGRAPHICAL COMIC! A workshop for everyone, regardless of experience, knowledge or drawing ability! In this dynamic, hands-on workshop, participants explored the wonderful world of autobiographical comics, then moved into a series of writing and drawing exercises that allowed them to create their very own short autobiographical comic. 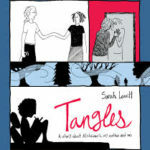 Sarah Leavitt’s graphic memoir Tangles: A Story About Alzheimer’s My Mother and Me has been published in Canada, the US, UK, Germany and France to international critical acclaim (LA Times, Vanity Fair, Globe + Mail, Die Welt the Guardian). Her prose and comics have appeared in anthologies, magazines and newspapers in Canada, the US and the UK. She is currently working on a graphic novel set in mid-19th century BC. Leavitt was a featured author/artist at the Words on the Water Festival March 13 + 14, 2015. For people who hadn’t tried watercolours before, or wanted to refine their skills, this class was be a good place to explore this wonderful medium. 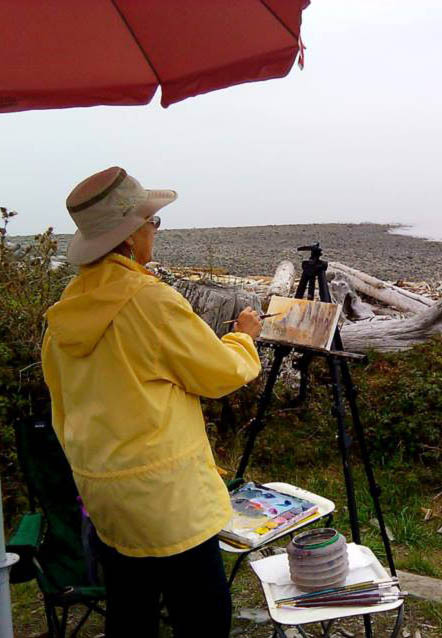 With 40 years of watercolour painting and teaching experience, Caren guided the class through the intricacies of paint mixing and colour, various painting surfaces, and using a variety of brushes to achieve washes, drawing and layering. Participants learned brush-stroke applications, and the use of value, color & temperature to sharpen and depth to your painting (the class painted from photos). For those who have always wanted to paint a scenic view of our area, but didn’t know where to begin, this was the class for you! People learned more about acrylic paint and its properties, while creating a beautiful work of art. Campbell River artist extraordinaire, Martina Kowalchuk brought her energy and limitless creativity to the Art Gallery Studio for a 4 session class. 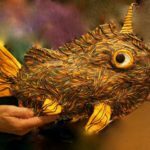 This Multi-Media paper maché class moved far beyond the tradition of paper and paste to include found objects, fabric, wire, and more. Kowalchuk guided participants to expand their imagination, remove your limitations and hone their skills for this very hands-on mixed media sculpture experience. Caren Heine returned by popular demand, with her engaging and inspiring teaching style and amazing expertise. Caren expanded on the intricacies of paint and colour mixing, techniques for handling various painting surfaces, drawing and laying washes as well as brushwork techniques. Students in this class learned to cut stencils and play with citrus concentrate to manipulate images from National Geographic magazines. Exciting abstract shapes appeared and formed the base for a beautiful and original collage. of how to choose good photographs for the art making process through hands on preparation, demos and discussion. From the instructor’s own collection of photographs and tools, people composed and created their own coloured sketch using, using techniques and tips for successful photorealist painting. The workshop included an artist-led tour of Wood’s exhibition, “Come Back to Bed” .